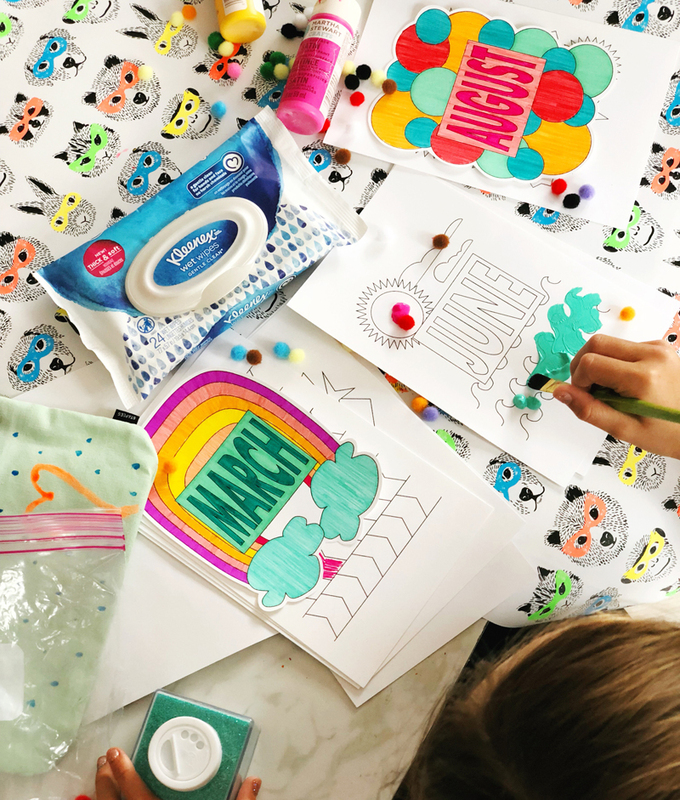 This DIY printable planner post was made in partnership with Kleenex Wet Wipes, which we always have on hand for back-to-school painting fun. 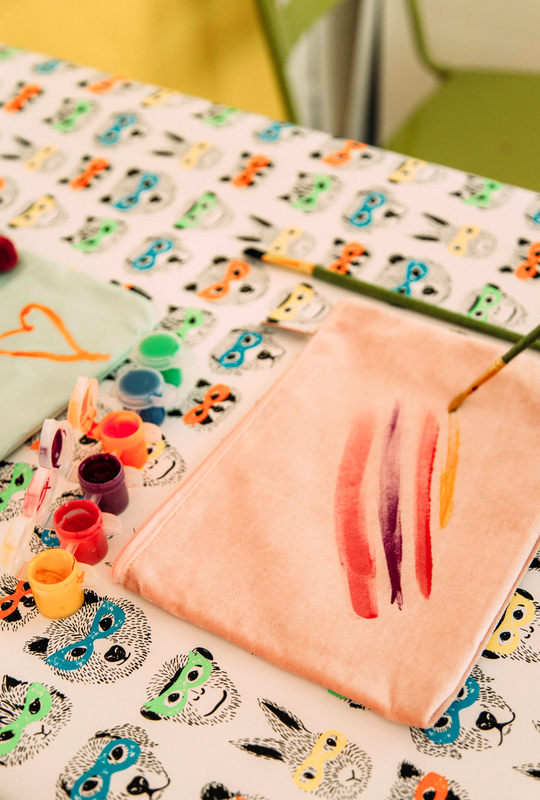 We started customizing supplies like pencil pouches and just decided we wanted to keep going- why stop there!?! Wouldn’t it be fun to paint and customize all the back-to-school things? Going back to the classroom is always a hard transition for my kids. When we get the family creating together, it gives them ownership over what their planners look like, which I think helps alleviate some their concerns about all the work that will fill them. That’s where this DIY printable planner was formed. A fun way to take the pages you need and customize a planner in the exact way that works for you. Maybe you have a year filled with house projects and meetings and you need a way to make it look fun. Perhaps, like my kids, you are charting dance competitions and standardized testing and want an outlet to doodle your cares away. 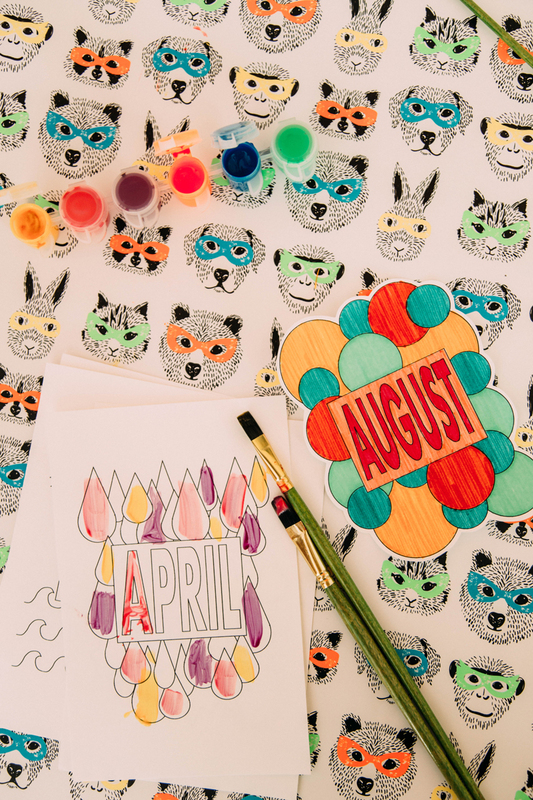 Whatever it is the year holds for you, printing off this DIY printable planner, grabbing some paint, and getting crafty with the family will energize everyone and inspire them to rock everything they do in the year ahead. If you’re scared of brining this messy art project in the house, don’t be because that’s exactly why our Kleenex Wet Wipes are always close by! They’re made for families of doers like ours, who come together and get our hands a little dirty to make something handy, useful and, most importantly, FUN! Whenever I get my family all-in on a project it feels great to know we are doing something special as a team, but it’s also comforting to know we have Kleenex Wet Wipes to help wipe away the mess after. 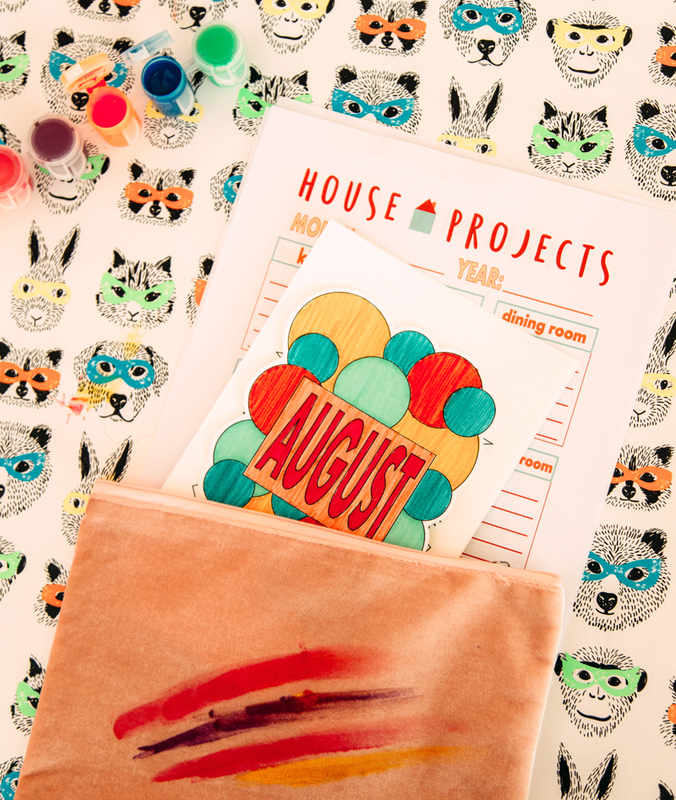 Here’s how we used the DIY printable planner. Here is the download link to print your DIY planners for back to school. The interior pages have color added, while the exterior monthly pages are left open for painting in your own ideals of the months ahead. 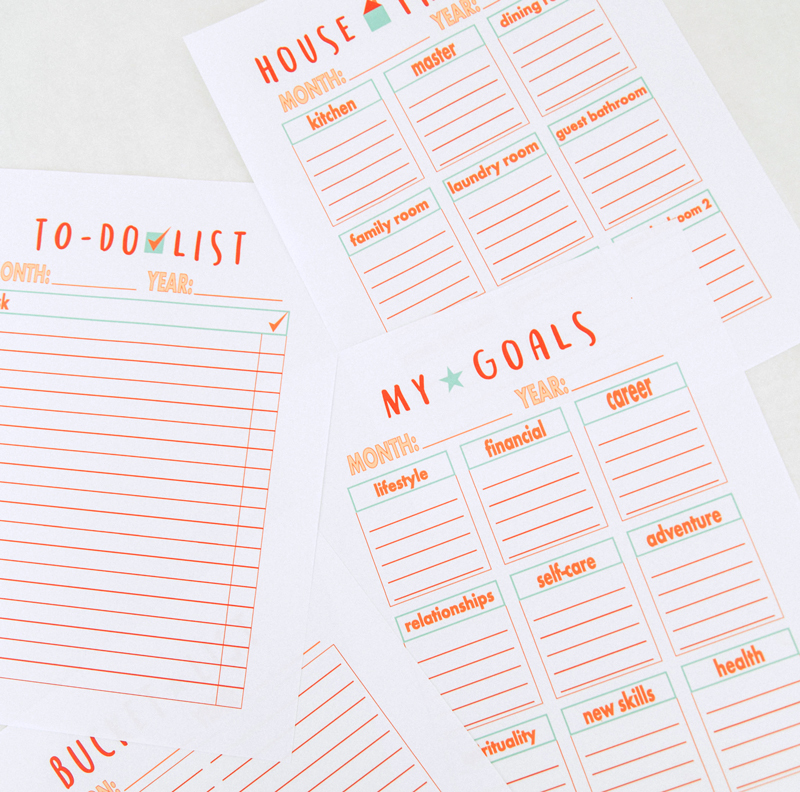 Much like a coloring book, these paintable pages can be printed on card stock and combined with the list pages to create your own personalized DIY printable planner. Or, you can print them out on 8×10 label paper, paint them in and stick them into a store bought planner to add that perfect amount of custom to inspire your year ahead. However you put together the planner, letting the family run wild painting it is sure to cause a little mess along the way. 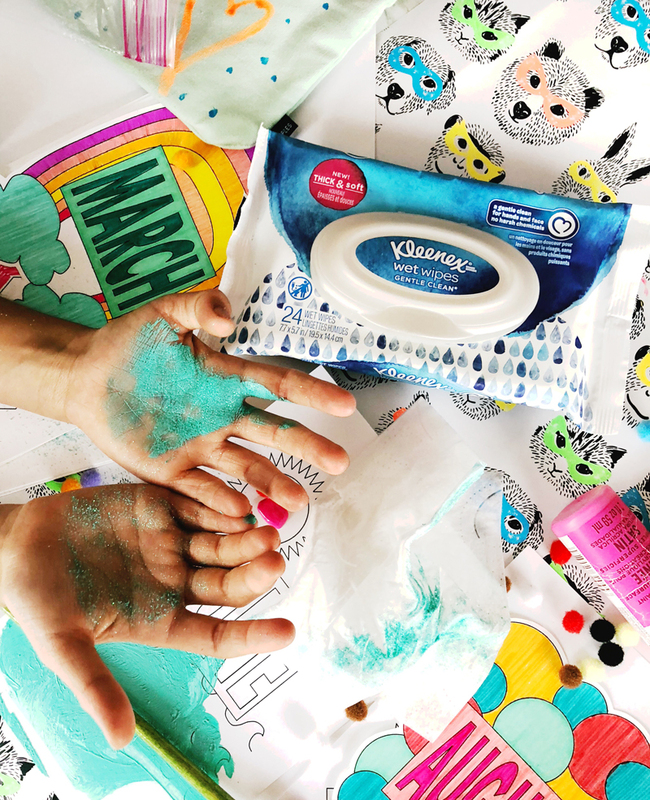 We always keep a pack of Kleenex Wet Wipes on hand when we’re crafting or doing school projects to clean up hands, tables and all the other places paint can get during messy activities with the kids. They’re always in my kids’ backpacks! I found that taking a few “clean up breaks” throughout the project by quickly wiping down hands and surfaces with Kleenex Wet Wipes can help prevent build-ups and stains. Plus, it’s a lot easier to get the kids involved for short clean ups as opposed to one big one afterwards where I’m usually left alone to handle the mess myself! I am always surprised at how they end up with paint behind their ears and on the outside of the front door, especially when we are crafting in the back of the house! It’s like a special super power the kids have. Well, with Kleenex Wet Wipes on hand that “super power” is greatly diminished. It cleans so gently that I don’t mind running after the kids and getting the paint out from all the funny places it ends up. So instead of bracing for the stress of starting a new school year, print off this planner, pick up Kleenex Wet Wipes for easy clean up and craft yourself into being ready for whatever lies ahead this school year! Happy creating your own dreams. Your way is creative and unique, thank you for sharing. I love it! Best to-do-list and planner! Thank you for sharing! !